Earn 650 points to spend on future purchases. The DreamStation CPAP is a fixed pressure therapy machine that delivers positive airway pressure at a single fixed level, between 4-20cm, throughout the night. 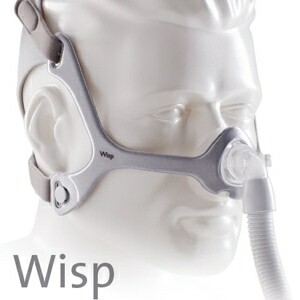 It includes premium features like automatic altitude compensation, mask fit check, and C-flex in a budget package. In addition to the traditional pressure ramp available on most sleep therapy devices, the DreamStation CPAP offers SmartRamp for an easier experience at the onset of sleep. 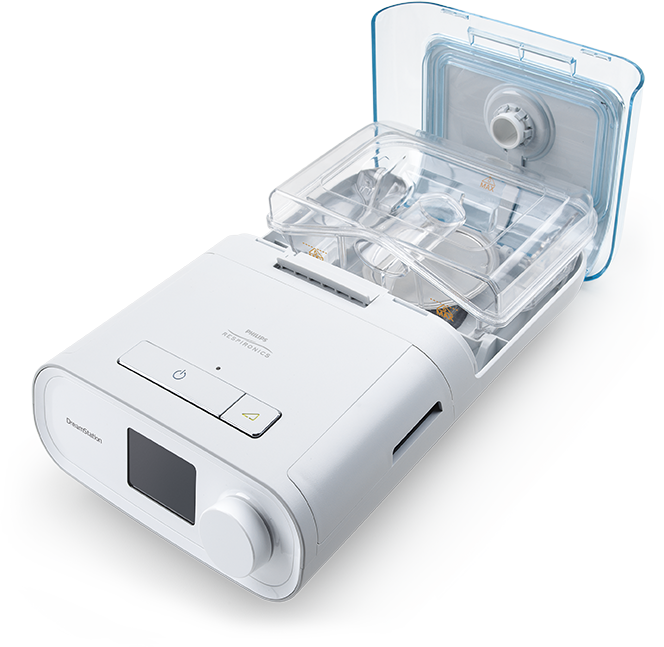 When SmartRamp is enabled the DreamStation CPAP will use an auto-sensing algorithm to deliver lower overall pressures, at the beginning of therapy, until the ramp period ends or the machine detects an obstructive respiratory event. The DreamStation's Heated Humidifier is an elegant match to the DreamStation CPAP's intelligent therapy offerings. The humidifier snaps securely onto the back of the DreamStation device to form a single integrated unit that can be setup and adjusted from the machine's primary LCD display. Philips Respironics's clinically-proven C-Flex pressure relief technology enhances traditional positive airway pressure therapy to improve comfort and increase compliance. Thanks to the advanced Digital Auto-Trak algorithm, that detects the onset of inspiration, the DreamStation CPAP delivers just the right amount of pressure relief, at the beginning of each breath, to provide a more natural breathing experience. 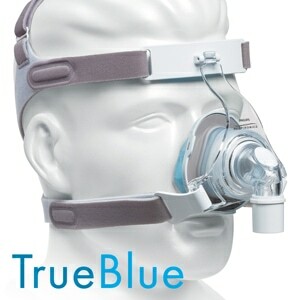 In addition to C-Flex, the DreamStation CPAP is equipped with Mask Fit Check tool to help with mask fitting, a Performance Check tool to ensure that your machine is working properly, and Auto On/Off capabilities to automatically start and stop therapy when a user puts on or takes off their mask. The DreamStation CPAP was built from the ground up to make therapy tracking and compliance easy and understandable for patients and doctors. Each device comes with Bluetooth built-in and an SD Data Card for data storage. After each sleep session the DreamStation displays a Sleep Progress report on the LCD screen. The Sleep Progress report shows nightly usage over the past 3 sleep sessions as well as summary data from the past 30 days. More detailed information is also available within the "My Info" section of the device or via the free DreamMapper App (iPhone, iPad & Android). 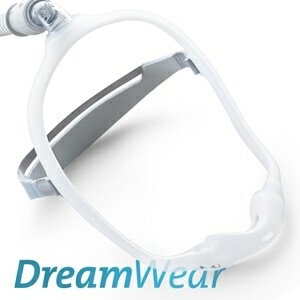 The DreamStation CPAP is great for home, but it is FAA approved and built for travel as well. 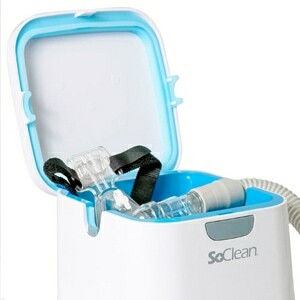 Without a humidifier it weighs just 3 lbs and fits easily in the supplied carry case or any overnight travel bag. DC power cord and battery options are also available for camping, air travel and boating. In the Package DreamStation CPAP, SD Data Card, BlueTooth, Carrying Case, Reusable Foam Filter, Ultra Fine Filter, 6-Foot Tubing, North American Power Cord, External AC Power Supply, Printed Users Manual, and 2-Year Manufacturer's Warranty (CPAP Only). 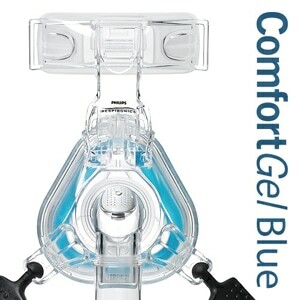 Heated Humidifier, Heated Tubing, and Additional Options Available in Shopping Cart. DreamStation CPAP is FAA Approved This product is approved by the FAA for use on all commercial flights within the US and all international flights that depart or arrive in the US. Click here for TSA / FAA information on traveling with sleep and oxygen therapy. Always contact your airline prior to your flight to confirm any requirements they may have (i.e. a copy of your prescription or a letter of medical necessity) for allowing your device on board.